Oxygen does wonders for the skin. One of the most important things being that it stabilizes our skin cells metabolism, so that it can help our cells to absorb the goodness of product a lot quicker and more efficiently. What better way to include that property than in our cleansers? 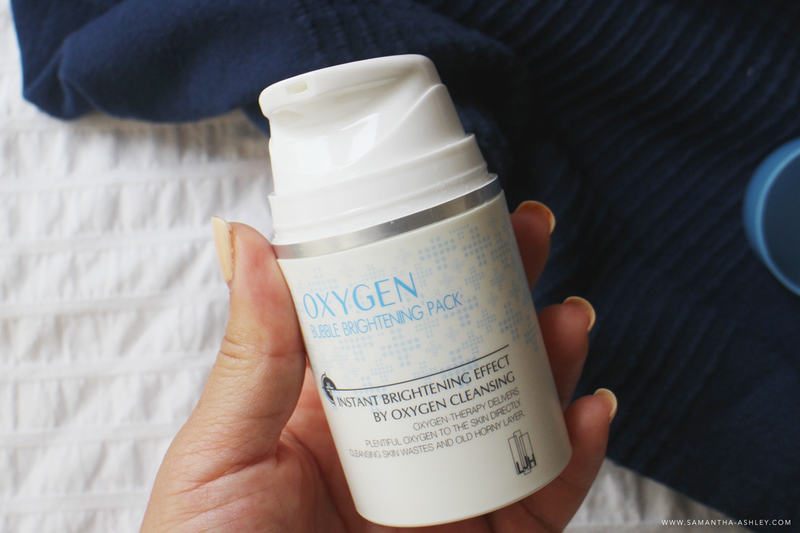 Behold, the (rather amusing) Oxygen Bubble Brightening Pack from LJH! I say amusing because, for the product to foam up on its own upon contact with our skin from a gel consistency? yeah, that's... pretty darn cool I'd say! The product also claims to help smoothen skin and to bring about a brighten complexion as well! 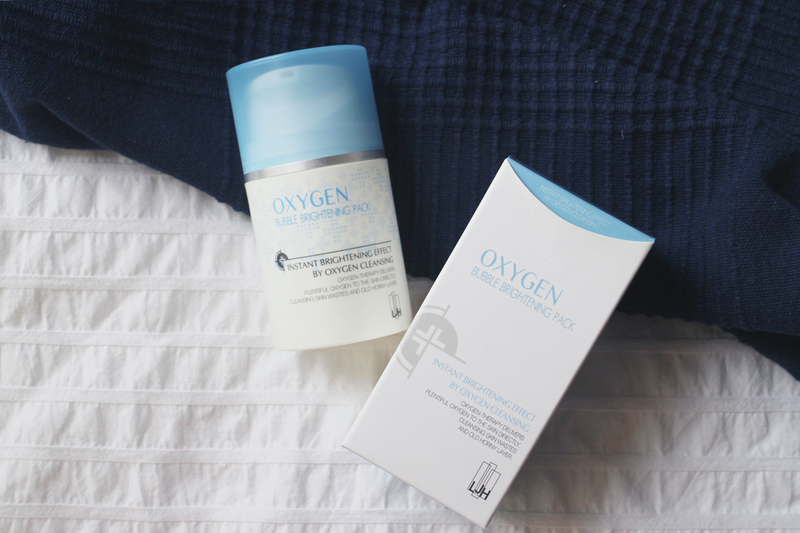 What's great is that I have rather dry and sensitive skin, since I started using this (about 3 months ago), I've not had a day where my skin feels tight and itchy. So yes, a huge tick that it can be used by all skin types ;) ! ps: sorry the following is written in Chinese! The product comes with a regular pump to dispense the product, nothing too special going on here. I'd be a little more cautious when travelling with this one because it might leak just a tad. So putting this in a plastic bag before throwing it into your toiletry bag is something you might want to consider! 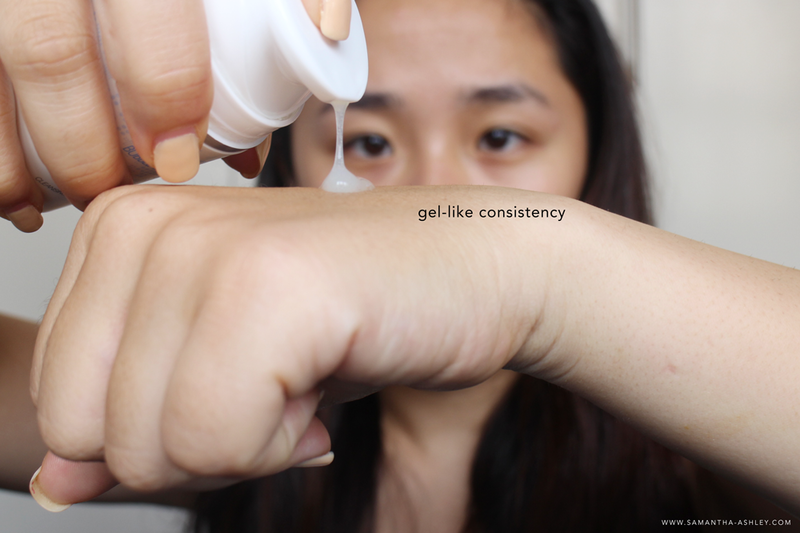 A clouded gel-like texture when dispensed, isn't sticky but not runny at all. For me, there's no scent to this product nor is the gel too thick that it does against your skin upon distributing the product. There are various ways to go about applying the product, you can apply it on a damp face, which encourages the product to foam up even more — or, to a dry face and add water after to cleanse your skin. Either ways, the product "bubbles" within seconds of coming in contact with your skin. 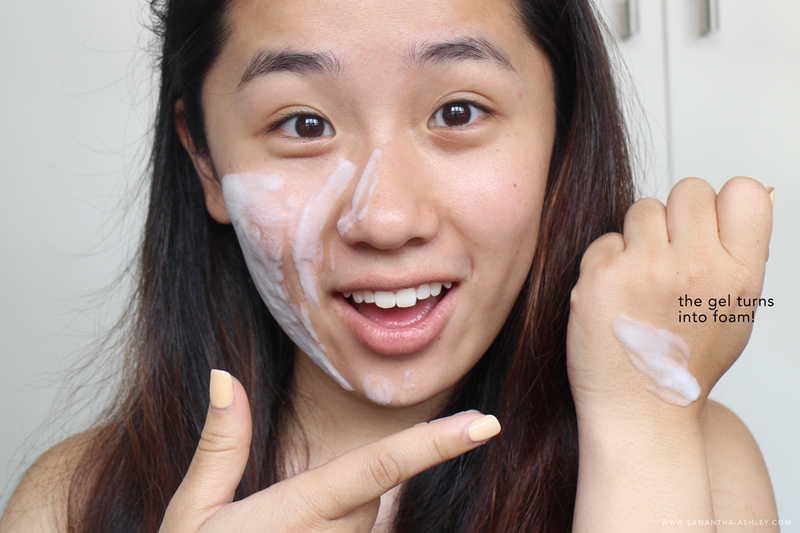 I take about two pumps and slather a generous layer of the product onto my skin, and within seconds it bubbles right up! And no, none of that chemistry "effervescence" that looks and sounds scary, it just slowly foams up into a layer of foam which you can then massage into your skin to cleanse your face when water is added! Step 2: Watch the gel turn into foam! Step 4: Rinse and pat dry! Tada! 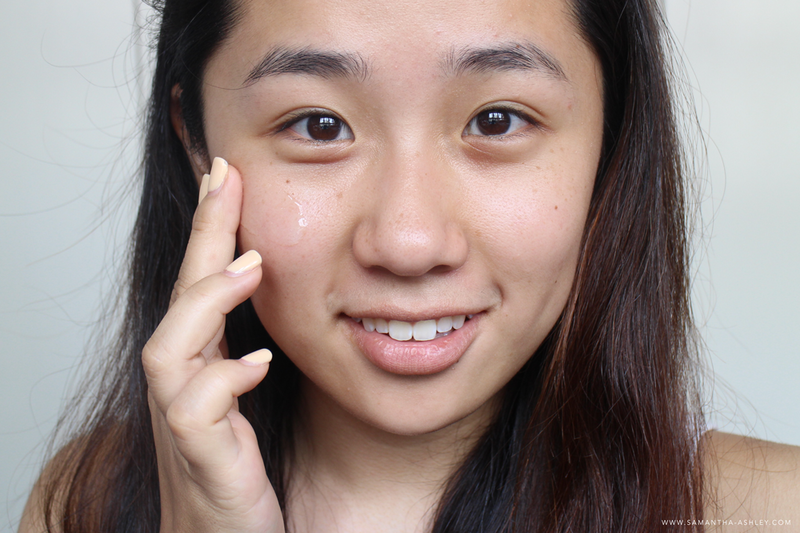 Behold, clean and bright skin! All within a simple step. Just remember that no matter how cool the foam looks, one shouldn't leave it on their skin for more than 20 seconds before lathering it up into a cleanser. Cleansers are supposed to be as basic as they can right? I mean they only stay on your skin for a couple of seconds and that's it. True, they do - but we got to make those couple seconds count with the right products to meet our skin's needs, am I right ;)? Also, I'm still quite amazed at how quickly the product foams up and doesn't irritating my skin. 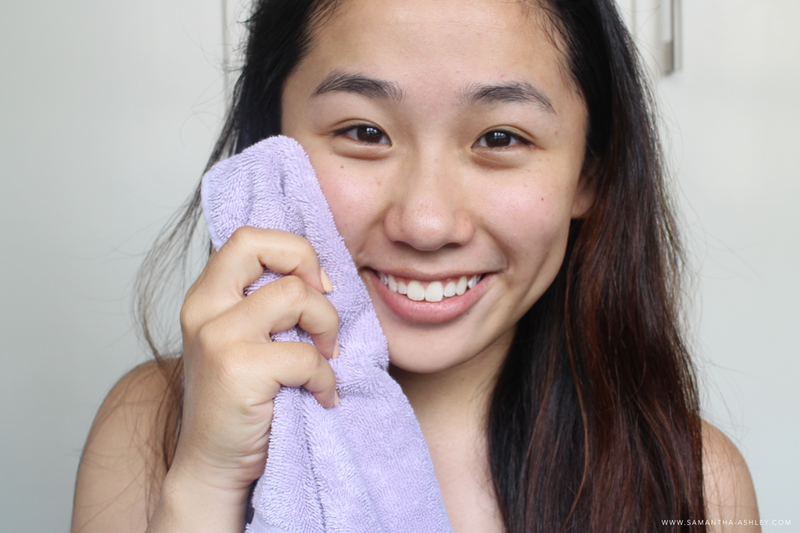 My skin has definitely gotten a lot brighter thanks to the foam that aids with the slight exfoliation process. For my sensitive skin, I try to clear steer clear of exfoliants with harsh beads within in fear that they might cause irritation or make my skin even more sensitive by breaking down my skin's barrier. 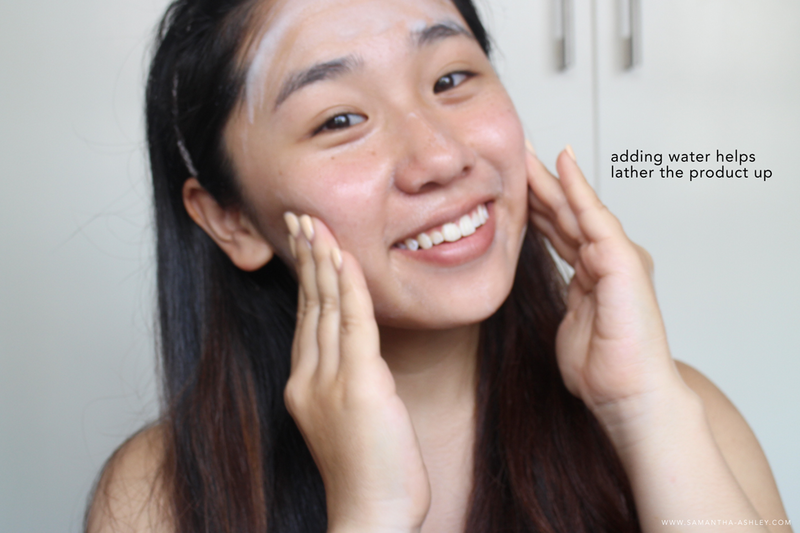 So, If you babes are looking to try out a new cleanser that delivers results without over drying your skin within a single step, perhaps you could check this one out! 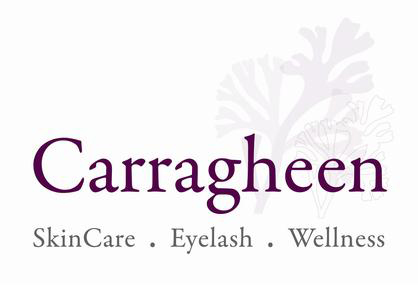 I can promise, that you won't be disappointed when you see the product foam up instantly upon application to the skin. What's your fav cleanser of the moment? Love your review on this Ashley. 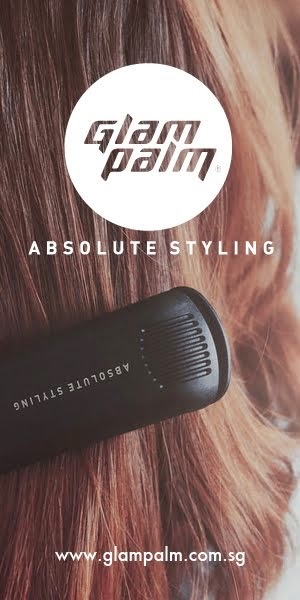 I have this product as well, and am going to review it in the next week or so. Glad you like it as much as I did!! 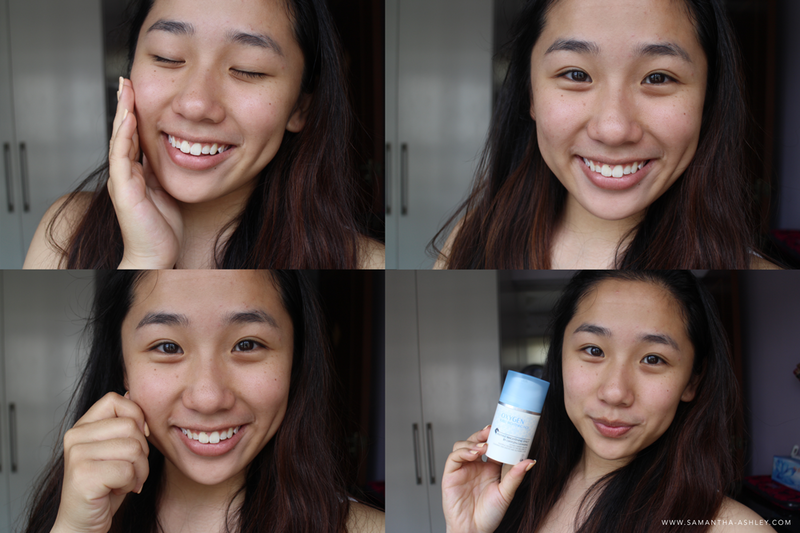 Here are my favourite cleansers for the past few months! Thanks! I really do like it, I feel my skin is so much cleaner and softer! Ash looked so cute here!!! Hehehe.... bouncy skin indeed!